WCMCS supports conferences and other scientific meetings organized by the research groups associated to MIMUW and IMPAN; the call for application is announced once a year in the Fall. The rules of the program can be found here. WCMCS supports conferences organized in the framework of the Banach Center according to the recommendation of the Banach Center Board. WCMCS supports small workshops and school organized by the research groups associated to MIMUW and IMPAN. The applications for the financial support can be made all year round. The rules of the program can be found here.  The conference Horizons of Mathematicsare aimed at the undergraduate students from Polish universities. The lectures are delivered by the researchers representing the best Polish mathematical and computer science research centers.